10 Things to do in Cozumel – Do It! 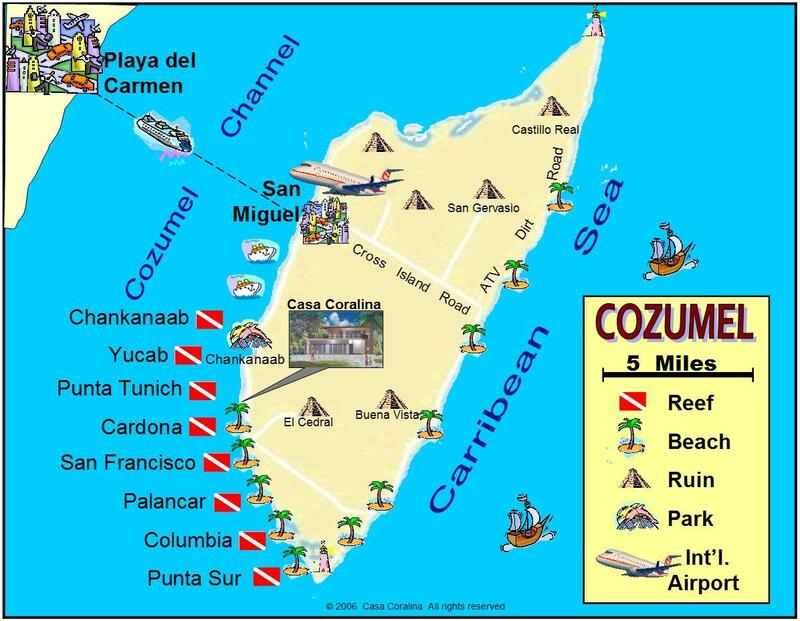 SCUBA Divers; Cozumel Villa Coralina is located at the best Reefs in the world. Fantastic Snorkeling and Diving on-site and via boats from the onsite dock. Perfect for Large Groups, Families with kids, SCUBA Divers, Surprise Vacation Parties, Birthday Parties, Anniversaries, Weddings on-site receptions welcome! Ask us about the best kept secret secluded Cozumel beaches and beach clubs that are much nicer than the world famous Paradise Beach Less the crowds and tourists. Attractions in town include: Shopping, island hopping, dancing, fine dining, flea markets, golf courses with 18 holes, fine casual and fun dining, music from salsa to rock, in several famous discos for all ages, duty free shopping in superb shopping malls and romantic or pirate ship entertainment dinner cruises. This Tropical Paradise is located on the most pristine strip of the Hotel Zone, 8 miles south of San Miguel one mile north of the world famous Paradise Beach Cozumel and one mile south of Chankanaab National Water Park home of the Dolphin Discovery. You also do not want to miss visiting some of Cozumel famous and not yet discovered beach bars. See our Cozumel beach clubs and self Island tour select Island Tour on the left.